Quentin Tarantino is not only taking over all of Hollywood, block by block, but he also seems to be casting a huge chunk of the people in it. His upcoming film Once Upon a Time in Hollywood already stars Brad Pitt, Leonardo DiCaprio, Margot Robbie, Al Pacino, Dakota Fanning, Damian Lewis, James Marsden, and Luke Perry. 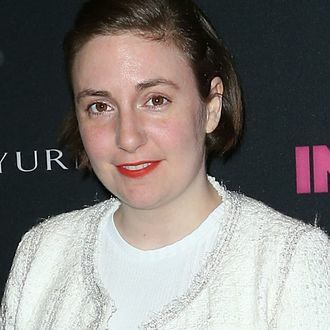 But today according to The Hollywood Reporter the film has now added Lena Dunham to that roster, in what will be her first-ever role in a major studio film. It will also be her first onscreen role since her HBO show Girls ended last year. The film has also added Maya Hawke, daughter of Uma Thurman and Ethan Hawke, so hopefully that means Thurman and Tarantino have officially fully reconciled since that whole “almost being actually killed on the set of Kill Bill” thing they were going through.